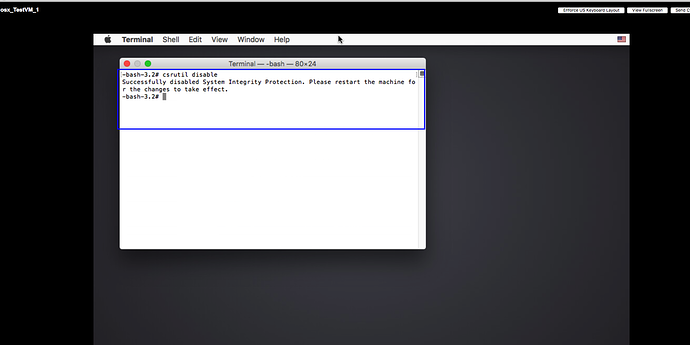 Disabling system integrity protocol on a virtual machine is just as easy as doing it on a physical machine. We find it easier to restart a running virtual machine than to start from a fresh boot. After restarting the virtual machine, make sure that the mouse pointer/cursor is active in the VM by clicking once. Then, press “Command + R” or “Windows Button + R” and keep holding until the Apple symbol appears. From here it may take a little bit of time to load recovery mode. 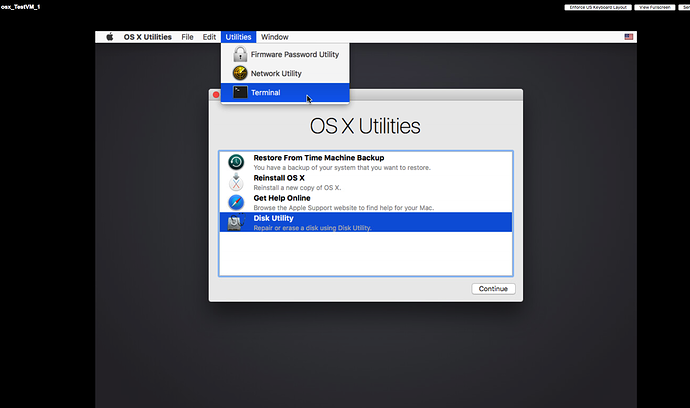 Once loaded and presented with the aforementioned menu, open Terminal by going to the top bar > Utilities > Terminal. 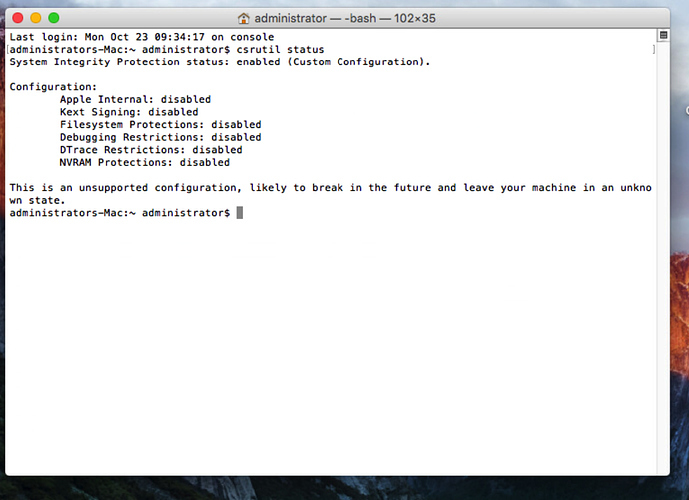 At the Terminal screen type 'csrutil disable' and hit Enter. You will then be told via terminal that SIP has been successfully disabled. 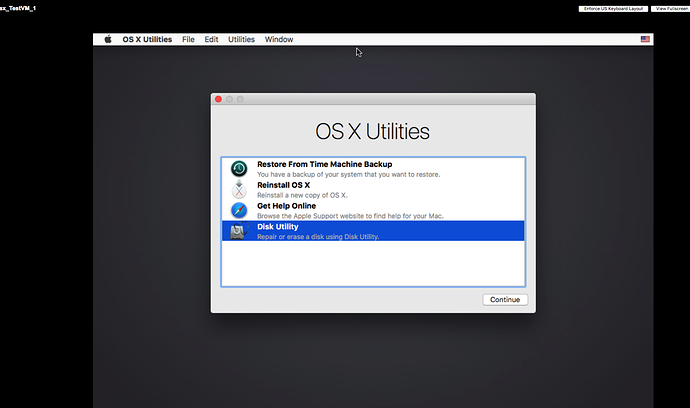 Type reboot or go to the upper menu and restart the virtual machine. Once back in your VM you can now type 'csrutil status' to see that SIP is indeed disabled.